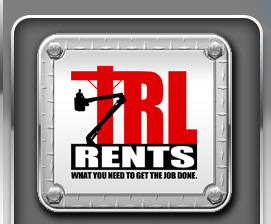 TRL Rents’ bucket truck inventory consists of highest quality and latest model units in our industry. 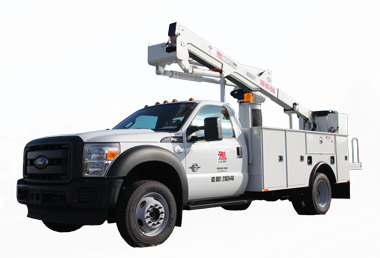 Our bucket trucks are designed for electric utility (distribution and transmission), lighting and sign maintenance, forestry, cable and telecom work. Our rental fleet includes insulated and non-insulated, Versalift aerial lifts ranging from 34’ to over 100’, with and without material handlers. 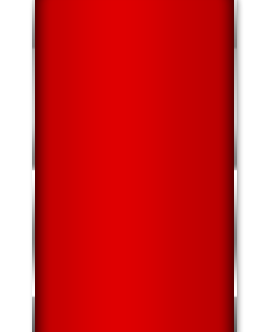 These units are designed for telecommunications, lighting & sign maintenance and electrical work. Our rental fleet includes insulated and non-insulated Versalift aerial lifts. Van mounts, 4x4’s and articulating and telescoping units are available upon request. 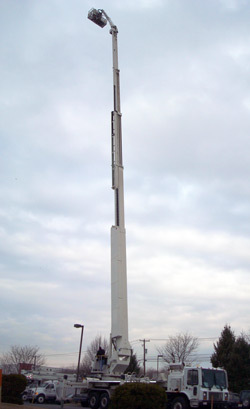 These units are designed for telecommunications, lighting & sign maintenance and electrical work. 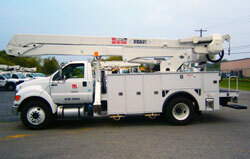 Our rental fleet includes insulated Versalift aerial lifts. F 550 size (1 ton) and International 4300 size (2 ton) units are available. 4x4’s, double bucket, over center, material handlers and articulating and telescoping units are all available upon request. These units are designed for electric utility, lighting & sign maintenance and forestry work. 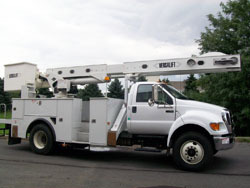 Our rental fleet includes insulated Versalift aerial lifts. Utility body trucks, rear mounts, flat beds, forestry package units are available. 4x4s, double bucket, over center, material handlers and telescoping HiReach sign crane units are all available upon request. These units are designed for electric utility, lighting & sign maintenance and forestry work. 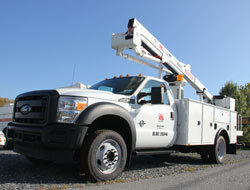 Our rental fleet includes insulated Versalift aerial lifts. Utility body trucks, rear mounts, front mounts, flat beds and forestry package units are available. 4x4s, double bucket, over center, material handlers, elevator units and telescoping HiReach sign crane units are available upon request. These units are designed for electric utility, lighting & sign maintenance and forestry work. 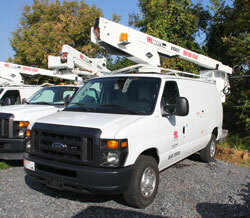 Our rental fleet includes insulated Versalift and Manitex aerial lifts. Utility body trucks, rear mounts, and flat bed units are available. 6x6, double bucket, material handlers, elevator units and telescoping sign crane units are available upon request. These units are designed for electric utility, lighting & sign maintenance and forestry work. 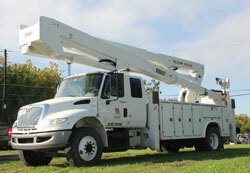 Our rental fleet includes insulated and non-insulated Versalift and Manitex aerial lifts. Utility body trucks, rear mounts, and flat bed units are available. 6x6, double bucket, material handlers, elevator units, boom trucks with platforms and telescoping sign crane units are available upon request. These units are designed for electric utility, lighting & sign maintenance and forestry work. Our rental fleet includes insulated and non-insulated Condor and other manufacturers. Utility body trucks, rear mounts, and flat bed units are available. 6x6, double bucket, over center, material handlers, elevator units and boom trucks with platforms are available upon request.